Award winning pet food manufacturer, Natural Instinct is a company passionate about pets. Their raw food diet for dogs and cats follows the motto “you are what you eat” and their wholesome and delicious meals are the no stress, no mess way to feed raw! 98% of users rated this business as excellent or very good. Natural Instinct are great suppliers of quality dog food and I would recommend them to anyone who wants the best nutrition for their pet dog. 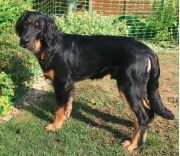 I have been feeding my spaniel Natural Instinct for a few years now and would never consider anything else, she is super fit and in tip top condition. Before changing to Natural Instinct she shad very dry skin, within a month of feeding Natural Instinct the dry skin had gone and her coat was (and still is) amazing, shiny and so soft. I am always getting comments about how lovely her coat is and how fit she looks. I have a new puppy which was weaned on to Natural Instinct at my request and I know I am giving her the best start in life with the best nutrition. The staff at Natural Instinct are always so helpful and orders delivered prompt, the food is very easy to defrost and feed. All four of our dogs, boxer, husky, pug and pug x love their natural instinct raw food! Happy dogs, happy owners. Brilliant value for money too. First heard about raw food and Natural Instinct nearly 3 years ago in a breed group recommendation. Only wish knew about it earlier for our older rescue cat, our younger one has been changed over slowly now though. Our dog had been going off his food previously, loves it now and not a scrap left behind, have to make sure he eats slowly. Great variety in the range of completes and pure (most without offal + veg for those who wish to make up their own). The treats and bones such as duck necks, lamb lites and chicken hearts firm favourites here. Very convenient to order online, meet National Instinct at shows with their hamper offers or pick up from the network of stockists around much of the UK. Definitely recommend - he's generally in great condition and muscle definition (plus the added bonus of a regular routine of small + few poos). Always great customer care. Very friendly and helpful. All the girls and guys always know the answers to my questions they are all are very knowledgeable and give great advice. I also have a very happy healthy dog too. As an Assistance Dog in training I wanted to give my puppy the best start in life so as soon as I got him he fed on Natural Instinct. My Vet and our dog walker both comment on how good he looks. Great skin condition, bright eyes and healthy hair. He weighs the correct weight for his age and he is so bright and outgoing. 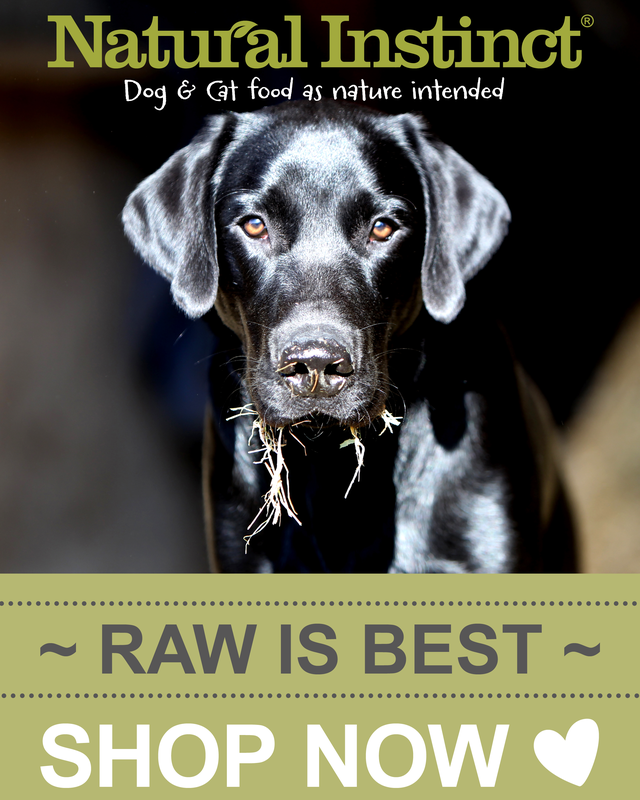 Natural Instinct Raw diet is the way nature intended for dogs to eat. There’s a great range of raw foods to choose from, and my dog devours them all. She’s a healthy, energetic 6 year old GSD, and has no dietary issues, unlike my neighbour’ GSD who is fed on a mix of kibble and generic canned dog foods. My dog loves it. Well packaged I even use the poly box its delivered in for defrosting. Put the next frozen one in to use or some cool packs and it keeps the defrosted food really well. One happy dog, and happy owner. Not forgetting what goes in comes out. Thankfully nice and firm and free from nasty odour. I have to say that the standard of service I have received from Natural Instinct has been first class. 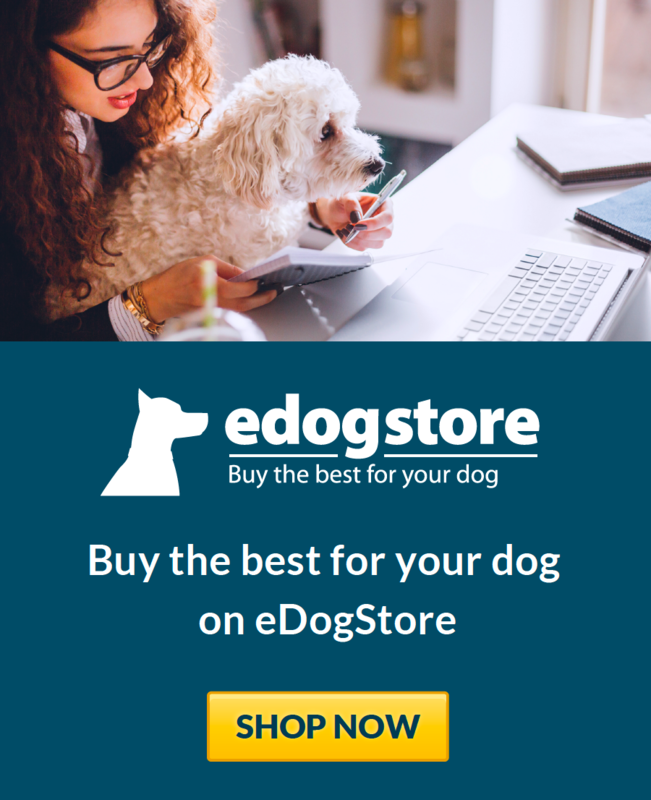 From their initial advice about introducing a raw food diet to selecting suitable products for my dog they have been incredibly helpful. I had a problem with one of my deliveries and they rectified it by sending out a replacement by return and without any hassle at all. My dog loves their food and has come on leaps and bounds since changing her diet. I wouldn’t hesitate in recommending Natural Instinct for the quality of their food and the service they provide. This is the only food I will feed my dog Bonnie. Her great condition and superb health is proof enough for me its the best food for Bonnie. I can not fault the service from Natural Instinct. They are so helpful, take time to explain the products and are really friendly. Both my dogs love the NI food, they are strong and healthy pups which I have no doubt is down to their nutrition! I've fed my GSD on Natural Instinct for 5 years now and she is blooming with health! The knowledge behind the product in their staff is second to none and their customer service is awesome! They genuinely care, not only about the pets for whom they provide excellent nutrition but about the pet parents and the value good money they provide. Recommend their services at every opportunity. I've been using Natural Instinct for my 2 Whippets for nearly three years now, they both love the food, and there are clean bowls at the end of every meal. I would never go back to feeding kibble! Having recently transitioned my puppy onto raw the Natural Puppy and the customer support from Natural Instinct has been second to none. The lady who I spoke with was efficient and friendly and went through the transition with me. Ever since we switched to Natural Instinct our puppy is happier and no more upset tummies! I was lucky enough to win 3rd in a Facebook competition and received £40 of food. I called and spoke to an advisor and they were so so helpful in finding the correct food for my little menagerie! My hand reared kitten is now being weaned on the weaning paste and is loving it! My dog also has the raw food, and especially enjoys crunching through ducks necks! The delivery service is also a credit to them, arriving promptly and still frozen. Overall a wonderful company, superb quality food and I cannot fault their customer service. Tried so many dog foods but just ended up with an underweight dog that refused to eat or else was very sick all the time. Until someone pointed me in the direction of Natural Instinct. Haven’t looked back. Never leaves a scrap & never sick. Weight is now constant & in very good health. I have just got a lab pup after losing my GSD. Both fed Natual instinct and just love it. Would never go back to kibble. This is also a wonderful company and very knowledgeable. Natural instinct food is so good for your dog or cat, I will never use another food again for and dog I own! Absolutely amazing food and amazing customer service. My dog loves natural instinct food and it's great quality. The Probiotic they sell is amazing too. Can't fault them or the food. 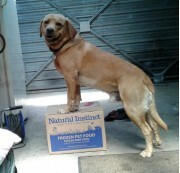 Natural Instinct provide really great meals and treats. If there's ever a problem with deliveries, they get right back to you immediately and resolve it pronto. Top effort all round. Brewster has been a Natural Instinct dog for 4 years now. After trying other foods, by dry and wet for the first year of Brewster's life, and him liking then going off food after 4 to 6 weeks I was at my wits end. After reading a review, and deciding to go RAW, it's a choice that I've never regretted. Brewster love the food and I find the company as a whole, a pleasure to deal with. If you are ordering, asking questions or seeking advice, the staff at NI are always exceptionally friendly, knowledgeable and have a real passion for their work. This is evident on the phone, and at dog events. I would recommend Natural Instinct to anyone, and have to friends who know enjoy the same service, and happy dogs, as I do. Never change Natural Instinct. Our dogs both love natural instinct, especially our french bulldog who has been struggling with skin conditions for years. 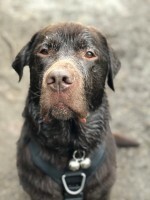 When we got him on to natural instinct a couple of years ago after a friend’s recommendation, his scabs starting disappearing and he because so much healthier! We will never try anywhere else again! Our 8 year old vizsla. Was losing a lot of weight having been on dried food since a puppy. Peppers in Camborne recommended trying Natural instinct letting us know the benefits of raw food and the nasty stuff in the dried we were feeding him even thought it was supposedly ‘high quality’ . Our vizsla is like a puppy again, he loves the food, he has gained back the weight but is not longer bloated just very fit, his coat is shiny and he no longer loses so much hair. His teeth are cleaner and he doesn’t smell!! I wish I had known about it before and can’t recommend Natural instinct enough.